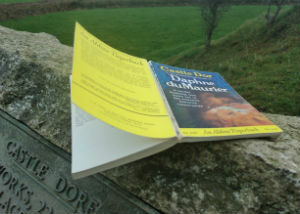 Castle Dor novel on Castle Dore plaque. Q Fund collection. 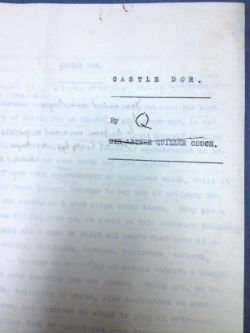 In 1925, Sir Arthur Quiller-Couch began writing Castle Dor. He was working from his study, overlooking Fowey Harbour to the domed fields beyond, excitedly caught up in a mixture of legend and fantasy following his discovery of ‘Mark’s Gate’ on an old map. King Mark of Cornwall, immortalised in the Arthurian legend of Tristan and Iseult, was a fascinating figure for Q who felt embedded in his local landscape on both an emotional and literary level, and rewriting the tale was an opportunity to indulge in this. 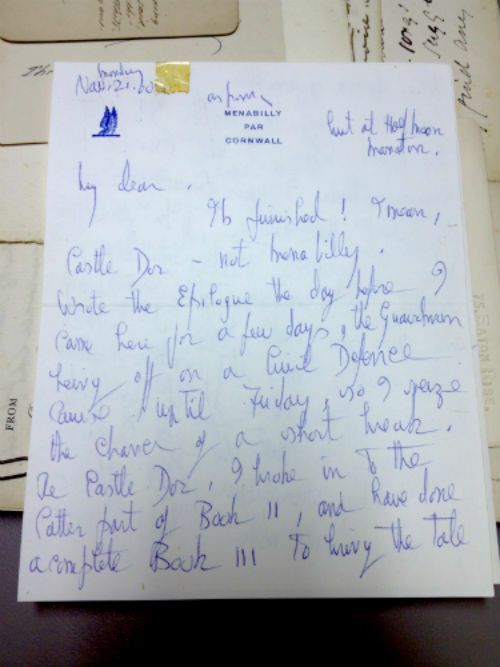 The implication here is that the manuscript was beyond help, yet in 1959 Q’s daughter Foy asked her friend Daphne du Maurier to pick back up the narrative and finish the novel. Foy and Daphne had grown increasingly close over the years, frequently riding and sailing together, and - dressed unconventionally in men’s clothes - they made an eccentric couple. The task Foy entrusted Daphne with, however, was not all light and fun: Q had abandoned the manuscript at Book II Chapter XXIII, leaving du Maurier with a Breton hideaway, a love-struck adulteress and a thick weave of intertextual references hanging over the lives of the characters. Daphne struggled initially to make sense of the narrative, as Q had “created so many difficulties for himself”(iii) by blurring the original role of King Mark with a seemingly incompatible counterpart character of Mark the pub landlord, and this caused her some concern. She held Q in very high esteem and was anxious at not being able to do justice to the work. 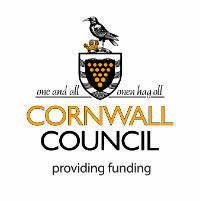 These sentiments are also echoed in the letters of Cornish historian and Oxford scholar A. L. Rowse, who grew up in St Austell and often came to Fowey, completing the triumvirate of literary minds at work in the area. Writing to Q in 1925, Rowse called him a ‘part-parent’ and in a letter from 1948 he told Foy “I loved him - he was so sweet to me". (ix) These strong feelings of attachment and nurture consolidated a link between the three, who were otherwise bound by their mutual love for Cornwall. 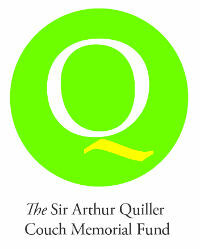 The desire to emphasise this triangular structure (in which Q looks down affectionately from the upper apex) does seem, however, to stem almost exclusively from the younger two, as du Maurier and Rowse appear more enthusiastic to be associated with the talent and company of Sir Arthur Quiller-Couch. And, for those who read and talk about it today, indeed it is. (i) It is interesting to note this quote is not found in Q’s original manuscript, meaning it must be one of the few that du Maurier inserted afterwards. She clearly enjoyed the idea of inevitability and fate surging through the text, perhaps also a force she believed compelled her to finish the novel. (iii) Daphne du Maurier in Finishing a Romance: Daphne du Maurier tells how she completed a novel laid aside by Q in the 1920s, published in the Sunday Telegraph 1st April 1962. (xix) Quoted in William Hogan’s Miss du Maurier Assists a Master article in the San Francisco Chronicle from February 12th 1962.